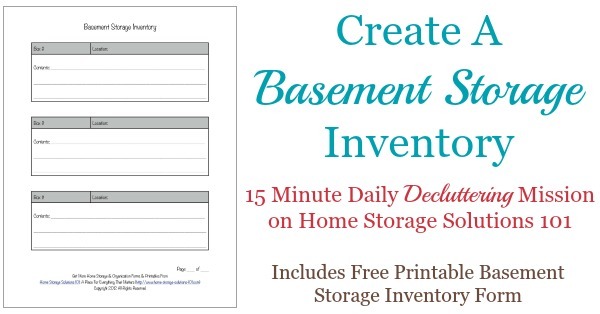 Use this free printable basement storage inventory form to keep track of what you've got stored in this area of your home, for both short and long-term storage. A basement is a wonderful place to store all types of items that you need for both long-term and short-term storage. However, the more stuff you have down there, and the less often you access it, the more likely you are to forget where you stored items. To keep this from being a problem you should label all the boxes or other storage bins you put into storage, as discussed in more detail in the Basement Organization Challenge. However, you can only get so much information onto a small label. That's where this basement storage inventory comes in handy. You can label and number each box or storage bin, as well as say a one or two word description on the label. 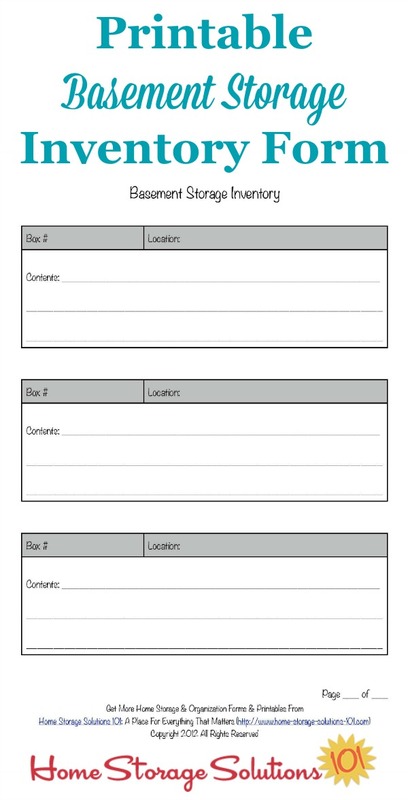 Then, on this printable form you can add more description of what contents are held in each storage container. 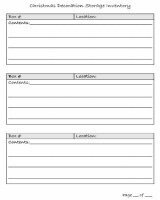 You can write as much or as little detail as necessary on the sheet to help you remember the contents of each container when you need it. Further, you can write the approximate location in your basement of the box onto the form, such as on the south wall, or on the shelves next to the water heater, etc. This can help you narrow down where the container is that you're looking for when you need to access something. 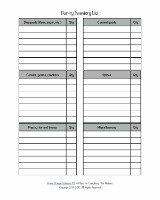 Once you fill out the inventory sheet save it in a safe place, such as with your other home inventory forms, or you could just save it in your home management binder. Oh, and people have questioned whether this is worth the hassle if you've got a lot of stuff in your basement. I totally understand that mind set, but my response is -- if you can't be bothered to write down what you have, even in very broad terms, is it worth actually storing this stuff? Or instead, should you spend your time decluttering your basement so you have less stuff and have time to fill out an inventory for those items instead. 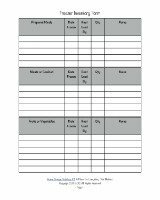 Here are some additional printable inventory forms on the site that you may find helpful.